Canon Australia is today excited to announce the launch of four brand new lenses to add to its extensive range. The EF 85mm f/1.4L IS USM, TS-E 135mm f/4L Macro Tilt Shift, TS-E 90mm f/2.8 Macro Tilt Shift and the TS-E 50mm f/2.8L Macro Tilt Shift lenses are the newest additions to the Canon lens family. · EF 85mm f/1.4L IS USM – Smooth background blur combined with the advantages of Image Stablize, this lens is perfect for low light shooting and alluring portraits. · TS-E 135mm f/4L Macro Tilt Shift – Gain ultimate control over depth of field and perspective that will make any portrait pop with one of Canon's newest telephoto lens. · TS-E 90mm f/2.8 Macro Tilt Shift – This lens is another new addition to Canon's Tilt Shift lens range which now features macro shooting capability to take that perfect shot. · TS-E 50mm f/2.8L Macro Tilt Shift – Find a new perspective with the TS-E 50mm f/2.8L Macro Tilt Shift's focal length which is versatile in many shooting situations. 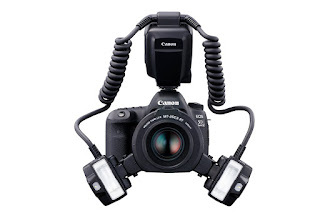 · The Macro Twin Lite MT-26EX-RT is a highly flexible lighting system for macro photography. Control shadows and highlights when shooting with the Macro Twin Lite MT-26EX-RT's flexibility to adjust angle direction and intensity. These new lenses and Speedlite will be available from November 2017. Prices will be set at dealer discretion. For more details, please see a range of product images and tech sheets below.